CAFFE CANNA delivers delicious flavor we all want and need to get us going in the morning. But it is so much more than your typical cup of java. The only patented, 60% hydroxycitric acid (HCA) water extract from Garcinia Cambogia with 4 peer-reviewed clinical research publication's that show it's: 3x more effective than diet and exercise alone, 44% increase in serotonin levels, 25% reduction in daily caloric intake. Helps support healthy blood sugar levels, cholesterol levels and weight management. Cannabinoid - CBD ( non-THC, no hallucinogenic high), has powerful weight loss benefits including the ability to suppress appetite and burn fat. COFFEE BEANS - Green coffee bean extract promotes weight loss and reduces fat absorption. For less than a trip to your local Java place – and far more convenient – you can enjoy your coffee and lose weight, too! One box contains 30 individually measured packets to make it so easy to add to boiling water in your favorite cup. Enjoy . . . and LOSE! How much Caffe Canna should I consume daily? On Day 1 we recommend you start with one half pack a day, then on Day 2 or 3 increase to a full packet. When is best to drink my Caffe Canna? We recommend that you drink your Caffe Canna first thing in the morning. Thousands of satisfied customers say this provides them with a burst of energy that last all day. Plus drinking it in the morning fires up the fat burning and weight loss benefits from the ingredients in this amazing skinny coffee, which of course includes Cannabinoids. If you want to add a second cup of Caffe Canna later in the day to speed up your weight loss even more (no more than 2 a day) feel free to do so. But we recommend you drink no more than 2 cups a day. 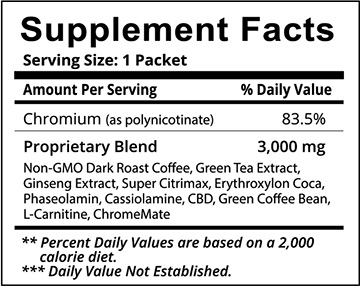 How many mgs of Natural Caffeine per packet of Caffe Canna? There is approximately 120 mg of natural Caffeine from Coffee per cup of Caffe Canna. It is about the same as any coffee house serves. There is NO added synthetic caffeine as in most diet aids. There is no PEA (Phenethylamine) or any other dangerous chemical additives. Can I drink Caffe Canna coffee if I am pregnant or breastfeeding? There are no laxatives in Caffe Canna, however, if you are concerned about increased Caffeine intake, or other ingredients such as Cannabinoids, please consult your doctor. How fast can I expect results? Results vary from person to person. You should start feeling more energy and clarity day one. Some people start to lose weight quickly others may take a bit longer. Three pounds a week is a good safe weight loss; however, some may experience more depending on body type and metabolism, as well as diet and exercise. We recommend you weigh yourself before starting on Caffe Canna then weigh yourself again in 10 days. How much Cannabidiol is in Caffe Canna? 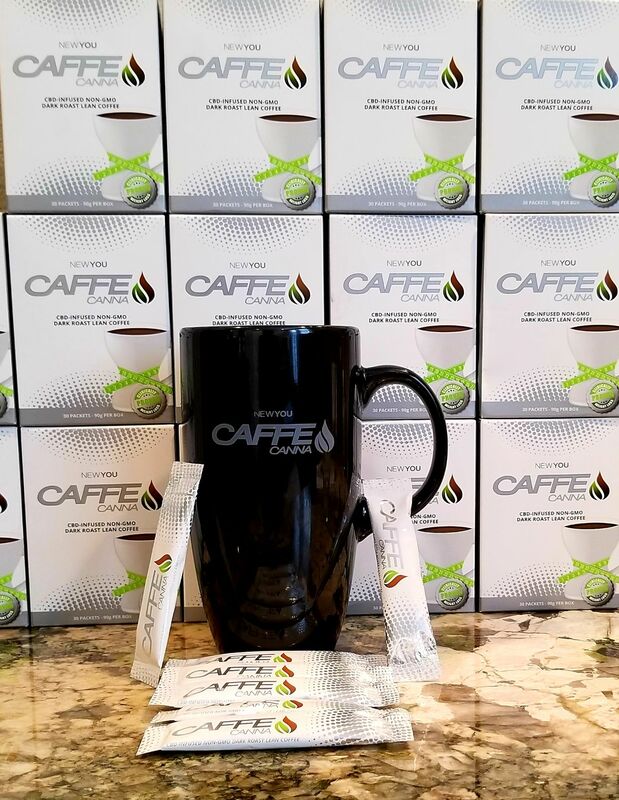 Caffe Canna is primarily a weight loss coffee with Clinically Proven natural ingredients formulated to help you reduce inches and pounds; therefore, it contains a small amount of our Canna-Active™ Cannabidiol in each serving. If you would like or require a higher dose of Cannabidiol, we recommend that you add our tasteless Canna-Actives™ beverage enhancer called DROPS to Caffe Canna or take our CB2 Full-Spectrum Phytocannabinoid tincture separately to meet your needs and desires. Will Canna-Actives™ make me “high” No. Cannabinoids from our Canna-Actives™ won’t make you high, it is THC-Free, but its many known benefits may help you to get healthier. Could I test positive on a drug test from using these products? Canna-Actives™ are about as likely as poppy seed bagels or muffins for their trace opiate content or fruit juices for their trace alcohol content (through natural fermentation) to make you test positive on a drug test. Canna-Actives™ is THC-free. However, we recommend that you talk to your employer prior to using any Hemp product related to your concerns regarding drug testing. Does Canna-Actives™ have any Drug Interactions? There are no known or studied drug interactions with any of the oils we use as part of our Canna-Actives™. However, we always suggest you consult with a medical professional and read the product labels and information before you make any changes or additions to your diet.